Since my daughter turned nine, she has added another hour that she could sleep until. Now, at the age of 12, she will sleep undisturbed until noon. I’m worried for her 17 year old self. While my tween’s increasing ability to sleep-in has become a joke in my house, biologically she’s a normal child. Studies have found that when children turn 10 their internal clocks “shift forward” making them more alert around 9 and 10 pm. This change creates a “forbidden sleep zone”, physically getting to sleep is almost impossible. The clock shifts even later as children go through their teenage years. I’ve seen it first hand. My daughter will pace between my room and hers until 10 pm mumbling about not being able to fall asleep. It was once believed that this changing internal clock was a sign adolescents needed less sleep. Recent studies have proven that tweens and teens actually need slightly more sleep than when they were younger. The current recommended hours of sleep for a tween/teen is nine and a half. She only gets seven and a half hours of sleep and that is on a good day. There have been nights that we have been up until midnight reteaching her a concept or working on a project. She isn’t alone. 59% of 6th through 8th graders and 87% of high school students in the U.S. get less than the recommended 8.5 to 9.5 hours of sleep. What’s the big deal? Sleep deprivation in children has been linked to serious physical and mental health problems including depression. Because of this, the American Academy of Pediatrics released a recommendation last month advocating for later school starts. 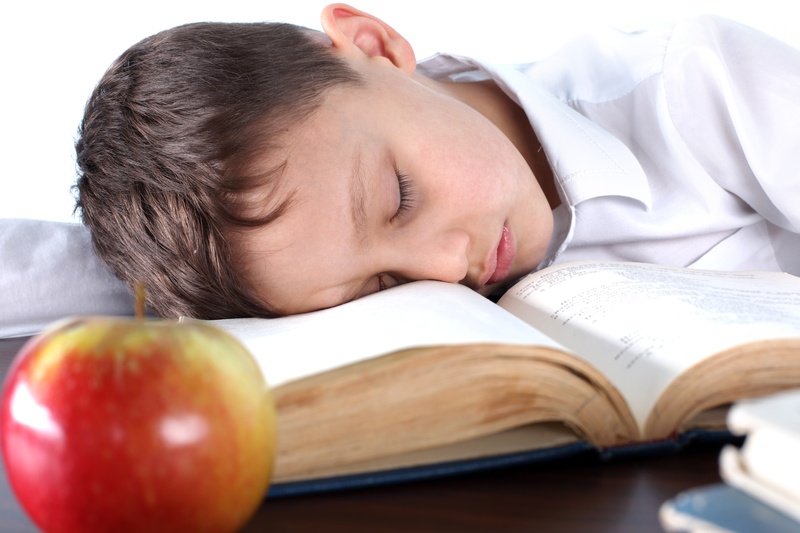 They site early school start times as a sleep deprivation crisis factor that can easily be corrected. No tech after 9pm. Texting, social media posting and video games keep children up at night. By implementing a “no technology rule” after 9pm at night, the tween/teen brain will be able to calm down and prepare for sleep. Adjust the homework routine. Just by having my daughter do her math homework first, we saved her an extra half hour every night! She had been leaving it for last when her brain was the most tired. There’d be numerous mistakes and corrections she’d have to make once we reviewed it at 10:30 at night leaving everyone in a bad mood before bed time. By doing her math homework first, she makes less mistakes and we can correct it earlier. Create a healthy sleep routine. In addition to reviewing the homework and study routine and creating a no tech rule after 9pm, discuss with your tween/teen his or her sleep routine. Just like when they were babies, a sleep routine is important for tweens and teens to settle down for the night. Let them sleep in. Although it won’t chronic sleep deprivation, allowing your child to sleep-in any time they can is important. Those few extra minutes and hours will add up. Aside from adjusting the routine at home, consider speaking to your child’s school principal. In addition to starting school later, you may also want to discuss the amount of homework, tests and projects they are receiving. It’s only when we discuss these problems do we find common ground and help our children succeed. This entry was posted in Back To School, Ideas and tagged Parenting, school, sleep, sleep deprivation, teens, Tween Education, Tweens. Bookmark the permalink.